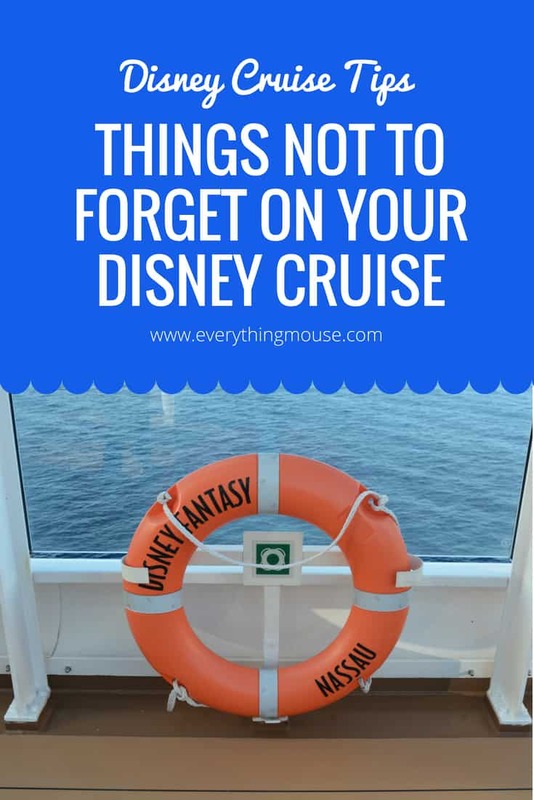 If you are sailing on a Disney cruise you may be wondering what to pack to make your vacation even more magical. 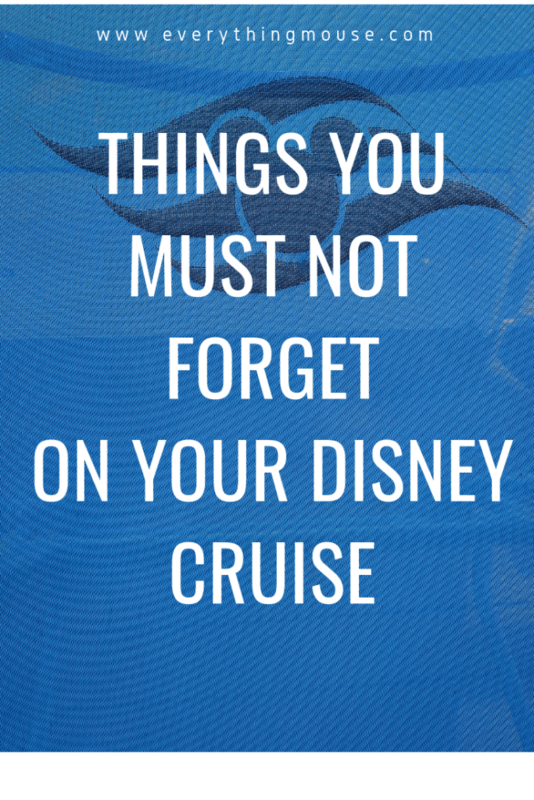 Here are some of the things not to forget on your Disney cruise! This is an absolute must-have. 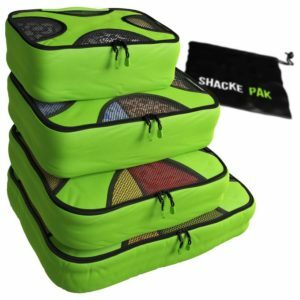 Once you have tried packing cubes you will wonder how you ever traveled without them. 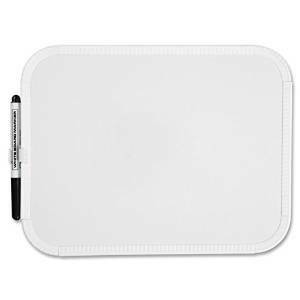 Packing cubes make it very easy to organize your packing and then once you are on the cruise you can put the cubes straight into the drawers or storage space. You will easily know exactly where everything is. This set is also nice as it comes with a laundry bag. 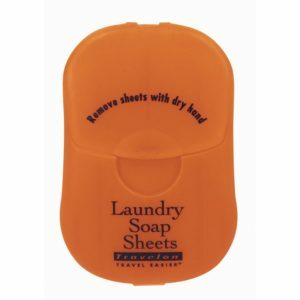 This is a great addition so that you can keep your laundry organized in your stateroom. Disney is one of the few cruise lines which lets you take alcohol on board. There are limits though. Each adult over the age of 21 can take up to 2 bottles of wine or 6 bottles on beer on board. You can drink this in your stateroom. If you want to drink it in the restaurant you will be charged a corkage fee of $25 per bottle. is really useful for protecting your bottles in your carry on. No one wants a wine bottle to break in their bag! We all know how many things you have to charge these days – but Disney doesn’t seem to have caught up with this and does not provide enough wall sockets. The solution? We bought one of these chargers which means you can charge almost any USB devices quickly using only one socket. We use it at home all the time now too and are very happy with it. Extension cords and surge protectors are not permitted on a Disney cruise, so this is a great solution to that charging problem. A reusable water bottle is a great thing to have on a Disney cruise. There is free soda, water and ice available 24/7. Just head on up to the pool deck to get your free beverages at any time of day or night. or we like this one with a combined water spray. Great for keeping you cool on deck!
. Disney Cruise Lines will eliminate all plastic straws on their ships by mid 2019. It can get windy up there on the pool deck. A really useful thing to have is pool towel clips! Not only do these keep your pool towel secure, but who can resist these adorable Nemo and Dory clips? Always remember to bring sunscreen on your Disney cruise. It is available in the onboard store, but you will pay a high price for it if you forget. It is much better to remember to pack it in your carry on bag. Always remember to pack sunscreen in a ziplock bag. A leaking sunscreen container in your suitcases is not a happy event. One thing which is less than idyllic about some of the beaches in the Caribbean and the Bahamas is that there could be something painful lurking in the water. Jelly fish. It is essential to have in your excursion bag as it will provide instant relief for jellyfish and bug bites. You probably will never need it. However, if you do, you will be forever thankful that you packed this! No one really likes to talk about this, but sea sickness does happen. All of the Disney ships are equipped with excellent stabilizers which minimize motion. Most of the time you do not even realize you are at sea. We have sailed in storms and never been affected. However, it is always wise to be prepared. It is always a good idea to take binocular with you on a Disney cruise, particularly if you have a balcony stateroom. On many sailings, you will be able to see wildlife such as dolphins and whales. These are compact and are usually priced just over $20. Well worth it. This probably should have been number one as you are not going to even get on the cruise without the correct documentation! It happens every cruise. People do not bring the correct identification with them and they will not be allowed to board. Imagine how that would feel! So avoid this at all costs by always checking that you have exactly the right cruise documents and identification with you when you leave for your cruise port. Often it is the simple things which make the difference. Every day you can ask for a Cruise Navigator to be delivered to your Disney stateroom. This shows you what events are on each day. 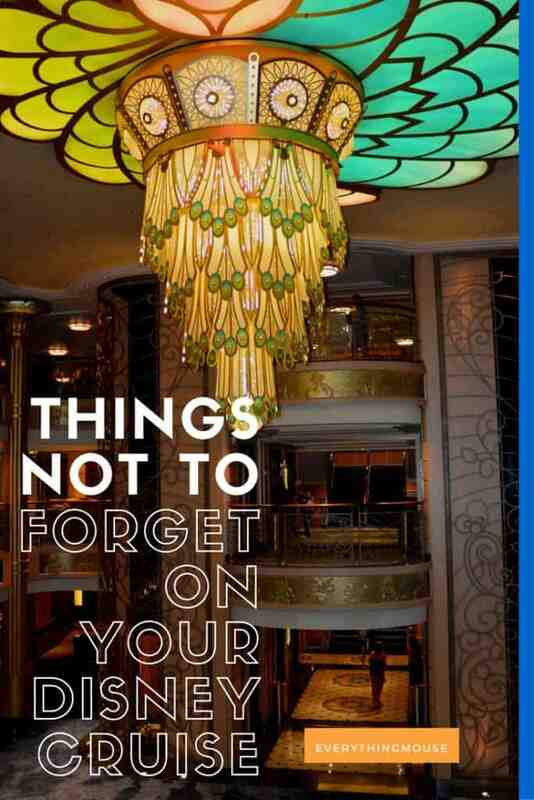 You won’t get one automatically to your stateroom any more. 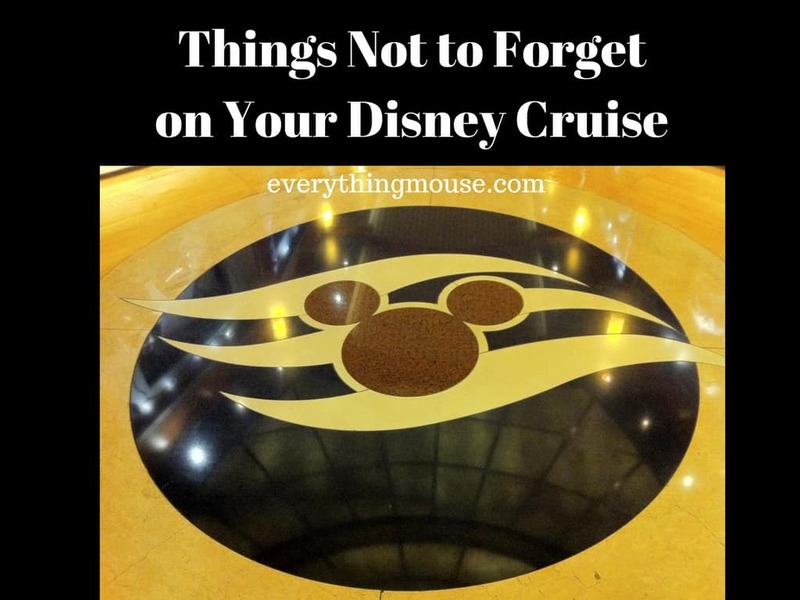 You need to ask your Stateroom Host or go to Guest Services to pick one up. There is always plenty to do, so sometimes you can miss something by mistake. To help you identify what each of us want to do each day we always bring highlighter pens. Every night we all go through the Navigator and highlight the things that we want to do each day. We like to have different colors so each family member can have their own highlighter pen. Aloe Vera Gel has so many uses. Sunburn happens – and having some aloe vera gel is going to make it feel a lot better. You can also use it as a moisturizer or a conditioner for your hair. We admit that this is only a recent discovery of ours, but we are really glad we bought these. If you are planning to hang out on the beach or swim in the sea, water shoes are invaluable. The sand on Castaway Cay can be hot and uncomfortable to walk on. You never quite know what is lurking in the water – these shoes will minimize the risk of cutting your feet on something that you didn’t see. Water shoes can also double up to be used for yoga or some fitness activities. Mostly everyone is in a good mood on a Disney cruise. However, some people just seem to set out to not have a good time. A sense of humor goes a long way when dealing with the occasional bad behavior of your fellow cruisers. Any mom knows that zip lock bags have a multitude of uses. 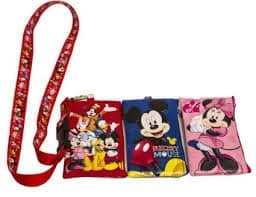 Take some in your cruise luggage as you know you will find a use for them. This may seem like a strange suggestion, but you will be glad if you remember to bring an old hotel room key. The reason is that as an energy saving measure the Disney Dream and the Fantasy have a lot close to the door for you to put your room key in. Without this being in the slot, the lights won’t turn on. It is a great energy saving idea. However, it can also mean that if you use your Key to the World card for this, you will forget it and go out of your room without it. This could mean a trip to Guest Services to get a replacement. If you bring an old room key with you this is easy to use and place in the slot. If you forget to take it out of the room with you – no problem. can be used to fix all kinds of things. Just make sure you do not use it to fix anything to the stateroom itself – you may be liable to a charge of $100 if you damage the walls or decor. you can deal with most creases without effort. are a great thing to take on your cruise with you. No one really wants to do laundry when you are sailing on a Disney cruise. However, if you are going to need to you should make it as cost effective and easy as possible. to save costs and also to save on the chances of being allergic to the cruise washing powder. Laundry pods are ideal as they are easy to pack. Just take as many as you think that you will need. are a great idea as they take up almost no space and can work for quick washes in the sink. These are always useful to leave messages for your room mates or your stateroom steward. Coffee mugs are always useful. You get free coffee and tea from the pool deck dispensers. It is a great idea to take your own reusable mug with you. Your Key to the World is your key to everything on your Disney cruise. Not only is it your room key, but it is used for charging everything in the cashless world on the ship. It is important to keep it safe. Of course, you can just keep your key in your pocket. However but we find we change clothes frequently in the day and always seemed to be wondering where we had put our key! A lanyard is the answer! Disney cruise staterooms are very dark at night. If you have a young child, you may want to bring a nightlight from home if they do not like being in the complete darkness. 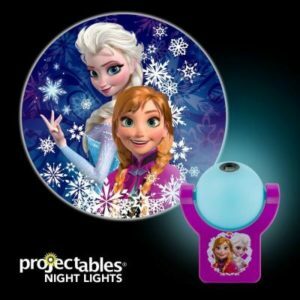 An alternative is to prop the bathroom door open with a towel and leave the light on, but we think having this Disney Frozen themed night light will be a whole lot more popular with the kids! Gone are the days when you used to have to carry a bag full of books to take with you on your vacation. 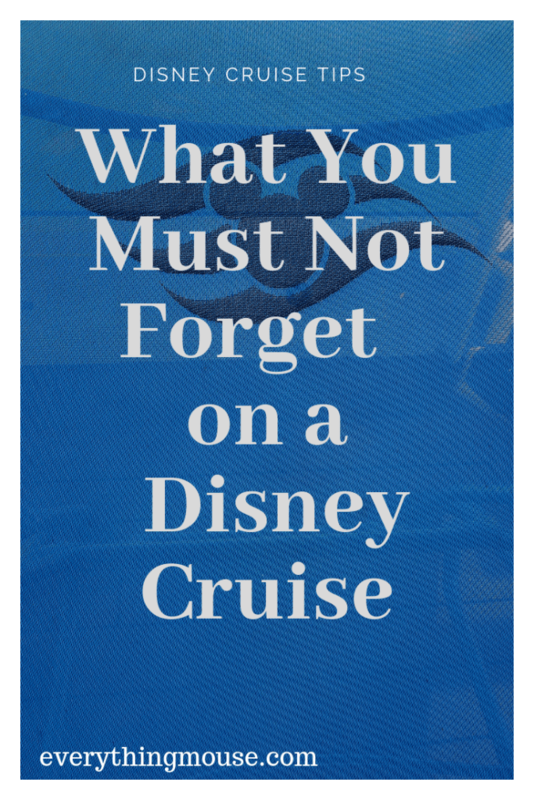 There are many things to keep you entertained on a Disney cruise, but it is always nice to take some great reading material with you. 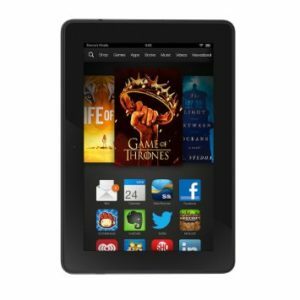 The range of Kindles is now so reasonably priced that it is very tempting to just take this with you on your Disney cruise. 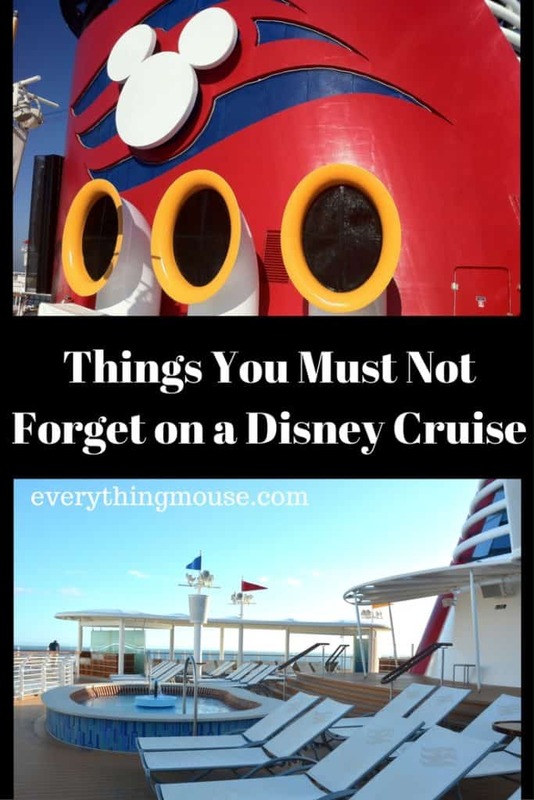 Make sure that you download your books before you board your Disney cruise – the internet connection isn’t always that great and of course it is expensive. Who wants to dress up for Pirate Night? All Disney cruises (apart from Alaskan cruises) have a Pirates in the Caribbean Night. Lots of people dress up. There are costumes for kids available on board, but it is a lot cheaper to buy things before you are on board. 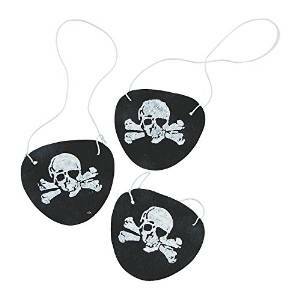 Have fun browsing pirate costumes and accessories online. A white board is really useful to put on your stateroom door so that you can leave messages for the rest of your party. All of the doors on the cruise ships are magnetic (except the concierge staterooms on the Disney Dream and Fantasy). We know there is a Disney cruise app which lets you message fellow passengers. However, sometimes it is just easier to go back to the minimal technology option and leave a message on the white board. Did we miss anything? 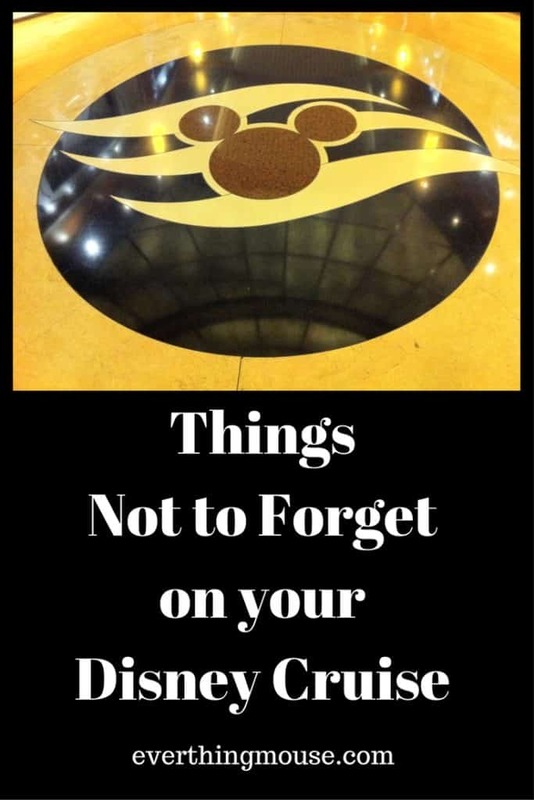 If you have any other suggestions of things which you need not to forget to bring on your Disney cruise we would love to hear from you. Leave us a comment below.